previous site? Let’s see what can I do. Jimmie Joyce (Dublin, 1882 - Zurich, 1941) was fond of the bottle and good conversation, he was a scurrilous rascal, a chancer, he was a dreamer unconcerned with common practicalities, and he was generous with other people’s money—in a word, he was the quintessential Irishman. Of all the characters that have crossed the Paris firmament, Joyce is the one that generates the most empathy. Perhaps this is because, as George Orwell wrote, "When you read certain passages in Ulysses you feel that Joyce's mind and your mind are one, that he knows all about you though he has never heard your name, that there is some world outside time and space in which you and he are together." Joyce left Paris again, penniless, on April 11, 1903 after receiving a telegram from Dublin that read "Mother dying come home father", and then passed through Paris, briefly, with Nora Barnacle on his way to a job that did not exist in Zurich in October 1904. 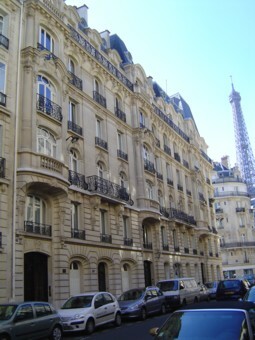 As can be seen from this list, Joyce remained faithful to the same areas—the most expensive in Paris—throughout his time there. 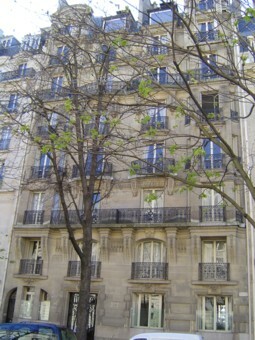 Bar a four-month stay in the fifth arrondissement (when French writer Valéry Larbaud lent him his house), Joyce was very much a “Westsider”, moving between the 6th, 7th, 8th and 16th arondissements. He was able to live in these expensive areas largely thanks to the largesse and indulgence of a rich English widow called Harriet Shaw Weaver who gave Joyce the modern equivalent of more than GBP1 million over several years. 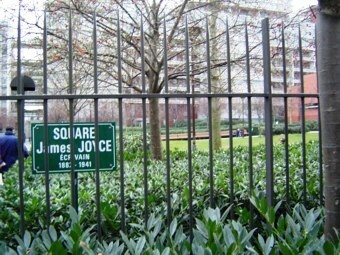 And yet, excepting a plaque to commemorate the publication of Ulysses in rue de l'Odéon (5th arrondissement), Joyce’s peregrinations went uncommemorated for a long time, until local residents erected a plaque a couple of years ago in front of 71, rue Cardinal Lemoine (5th arrondissement). The longest he stayed put in one place was at 7, rue Edmond Valentin, but the only plaque at this address honours one Ricardo Güilades, an obscure Argentinean writer. Nothing either outside 8, ave. Floquet, while on a house directly opposite is a slab to commemorate the French writer Paul Morand who lived there from 1927 to 1976. Like J.M. 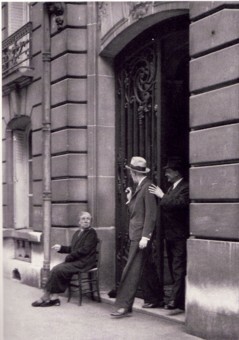 Synge before him, Joyce had a bad experience at the Café d’Harcourt on the Place de la Sorbonne (5th arrondissement, café no longer exists), suffering an attack of iritis there in July 1921. 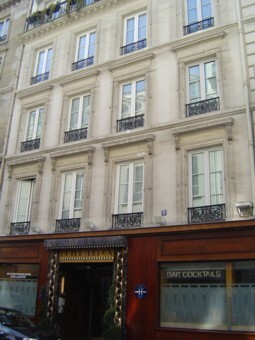 The Café d'Harcourt became the Libraire Rive Gauche during World War Two. This innocuous-sounding name disguised the bookshop's function as an outlet for German and Nazi literature. For this reacon, the Librairie was repeatedly attacked by the Resistance. The premises are now a Gap store. Enough!